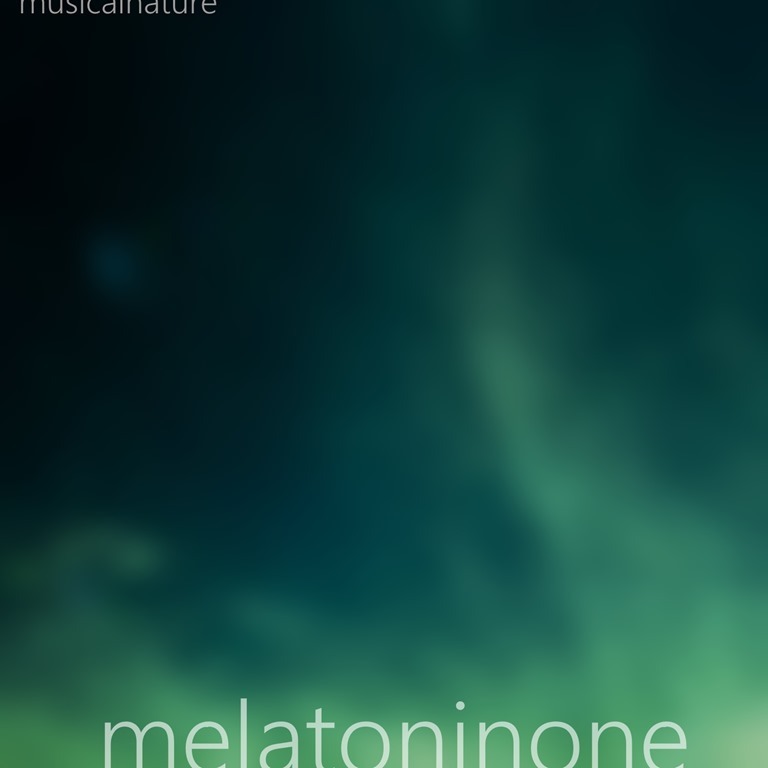 I am pleased to announce my latest release – melatoninone. This will be the first in a series of long-form dreamscapes from musical nature – for when you need long, flowing, minimalist, distant, calming music. Melatonin is a hormone, and is also a supplement sold at pretty much every pharmacy out there… it helps with sleep, but is a lot more “chill” than taking something like Ambien, which just knocks you out cold, or it does me at least. The pineal gland in your brain secretes melatonin once it starts to get dark, telling the body that it is time to go to sleep. For someone like myself who at the end of a long day, it can sometimes take hours to eventually nod off and escape into the dreamworld. So from time to time, I will take a melatonin supplement. The dreams you experience when you take melatonin, or at least, that I have experienced, are generally more vivid than a normal night’s sleep. I also like to listen to music when I fall asleep, specifically, long form minimal ambient music at a low volume, or playing from another room, just like this album. The two combined are where the inspiration for this album came from, as well as the upcoming releases in this series. I hope you enjoy it. Please have a listen, and let me know what you think. I like this!!! Dude you could add more layers to the Layers app 🙂 I used the app this weekend, actually – could be cool to have additional options? even if a listener were to just listen to one at a time instead of stacking them?